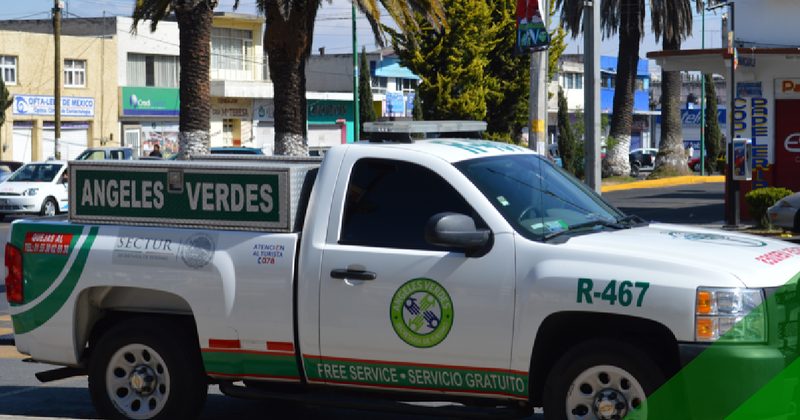 The Green Angels (Los Angeles Verdes) are mechanics who patrol the toll roads in Mexico in green vans. They offer assistance in case your vehicle is damaged (the work and towing service are free, but not the replacement of a spare part. Additionally, they are equipped to provide information to tourists, since they are connected to government offices through a network. Although their services are free, they appreciate a tip. Observe emergency signs and signs with phone numbers along the road. If your vehicle breaks down, pull off to the side of the road and lift the trunk as a sign that you need help.